For over 60 years, ElectroCraft has been helping engineers translate innovative ideas into reality — one reliable motor at a time. As a global specialist in custom motor and motion technology, they provide the engineering capabilities and worldwide resources you need to succeed. However, it is ElectroCraft's philosophy of partnering with each customer that helped build their company. That’s why their tradition of hands-on, responsive customer service still drives each and every customer interaction. ElectroCraft can help with every stage of your process from concept and design to rapid prototyping with domestic, European and Asian manufacturing capabilities. 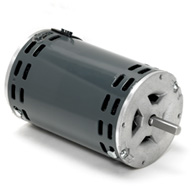 They have a large stock of motor and motion products that can be easily configured to meet your specs. And, if you need a completely custom motor, don’t worry. That’s their specialty. At ElectroCraft, they’re focused solely on helping you design, develop, and build it better. So, go ahead and dream. ElectroCraft will be there to help you build it. The ElectroCraft legacy of motor engineering excellence continues today with an expanded product offering, global logistics and worldwide application and customer support. They’ve combined the individual strengths of EAD Motors, AGI Motors, e-Motion, and ElectroCraft Engineered Solutions to form the new ElectroCraft, Inc. — an agile, global motor and motion powerhouse. ElectroCraft has operations in the United States, the United Kingdom, Hong Kong, China and Germany to provide a local presence for their global customers. They can provide their customers with an increasingly competitive global product offering and superior delivery capability to support their growing global marketplace. The expertise of each facility makes the whole of ElectroCraft even stronger. 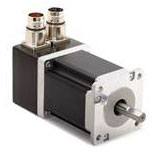 ElectroCraft Ohio provides unprecedented experience in mobility gearboxes, PMDC motors, high torque stepper motors, linear actuators, as well as AC and DC servomotors. ElectroCraft Arkansas built its reputation on dependable C-frame AC and PMDC motors. ElectroCraft GmbH in Stuttgart, Germany manufactures a complete line of speed controls and high performance servo drives that power all ElectroCraft's motor technologies. ElectroCraft, Ltd. in the United Kingdom provides regional value-add assembly operations and European sales support. Customers can now work with one company and benefit from the individual expertise of each facility.